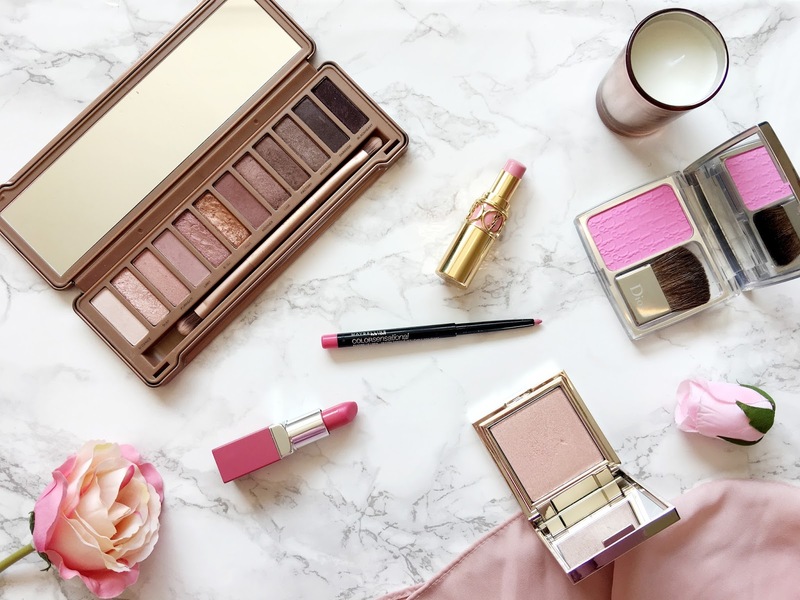 Every Spring without fail I always reach for the Urban Decay Naked 3 Palette(£39.50). 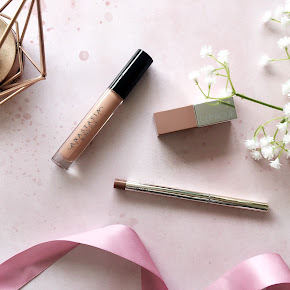 With subtle shades of pink and rose gold packaging what makeup magpie could possibly resist? 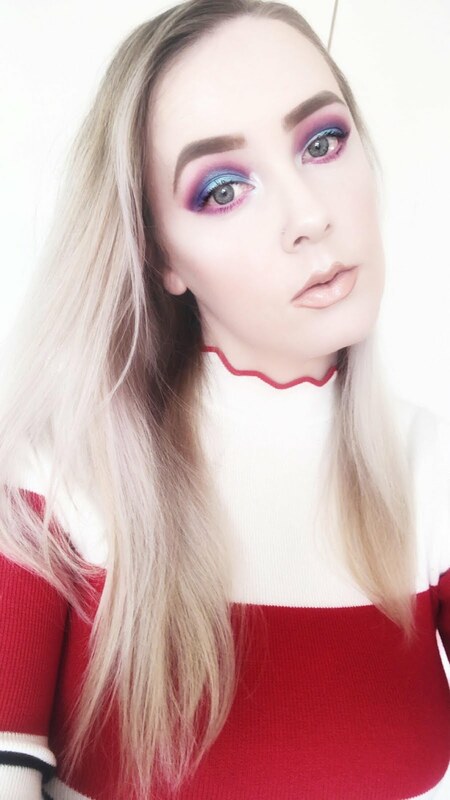 My favourite shades within the palette are limit, nooner and buzz. All three shades together create the most beautiful pink daytime look. 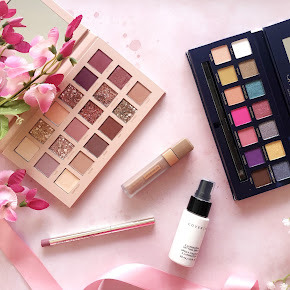 The palette certainly doesn't lack in pigmentation either and the formula is pretty spot on as they're rather soft and buttery in texture, plus they are incredibly easy to blend too. It's really quite dreamy. For a pop of pink on the cheeks I adore the Dior Rosy Glow Blusher(£32). It looks incredibly bright and intimidating in pan but it translates as a beautiful, subtle rosy pink on the cheeks whilst adding a lovely healthy glow to the skin. It's literally the perfect pink blush, especially for those with pale skin tones. Another one for the face is the Jouer Powder Highlighter in Rose Quartz(£19). It's somewhat new in my highlighter collection but has become a firm favourite within my makeup routine as of late. Rose Quartz is a stunning champagne pink which imparts the most flattering glow to certain areas of my face, particularly the highest points of my cheekbones, cupids bow, down the nose and the centre of my forehead. It is super soft and velvety in texture and blends in easily too. If you do want to find out more about it take a peek at my review here. Now let's talk lips. I am still thoroughly enjoying the Clinique Lip Pops, or more specifically the Clinique Lip Pop in Sweet Pop(£16), a muted light-medium pink. If you want a pink lip but don't want to be too daring then I'm sure you'd love it. 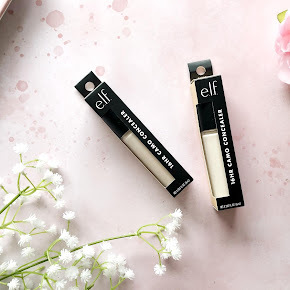 The creamy formula allows the lipstick to glide along the lips so effortlessly and it feels so comfortable on the lips too. It can slip and slide a little though, which is where the next lip product comes in. The *Maybelline Color Sensational Shaping Lipliner in Palest Pink(£3.99), although quite innaccurate in it's description is a gorgeous medium toned pink with a rather longwearing, satin finish. Sweet Pop alongside the Maybelline Lipliner is a beautiful lip combination. And lastly for the lips is the YSL Rouge Volupte Lipstick in Lingerie Pink(£27). Encased within elegant gold packaging it certainly is one of the most luxurious of lipsticks that I own. Lingerie Pink is pretty much what it looks like in the bullet, a blue-toned baby pink. It can look slightly too pale on warmer skin tones but I find it works well with my pale skin. It is ever so creamy too, almost like a satin finish. Not too creamy but definitely not matte either. It's the perfect in-between. 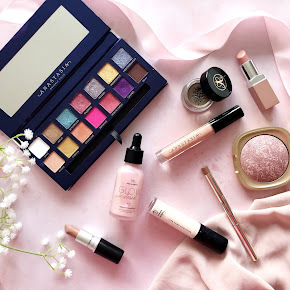 So there we are, those are my favourite Pink Makeup Picks for Spring. What are your favourite products to reach for this season?